Blowers is the perfect destination for discerning buyers of luxury timepieces and exquisite jewellery. The company has earned a reputation for holding an extensive array of pre-owned watches from the relatively accessible to the finest examples of haute horlogerie. All of our carefully selected second hand luxury watches are serviced and maintained to the highest quality standards whether they come to us in a used or unused condition. All watches advertised by Blowers are physically in-stock, procured by our team of experts and available to see, either at our Kingston upon Hull Boutique or, by prior arrangement, at our sumptuous office in the heart of London’s prestigious Mayfair. Blowers provide a relaxed environment where clients can take their time to peruse a comprehensive and varied portfolio of luxury timepieces, all stocked in one location. We strive to make the purchase of a watch a special occasion where professional advice and absolute discretion are assured. Browse our range of pre-owned luxury watches online, or visit us in Kingston upon Hull or the heart of London’s prestigious Mayfair. If you are interested in selling your watch or part exchanging it, simply complete our online watch submission form and a member of our team will contact you. Book to view your dream Watch in London's prestigious Mayfair or the 2017 City of Culture Kingston upon Hull. View a wide range of jewellery in our Hull store or by appointment in our Mayfair office. 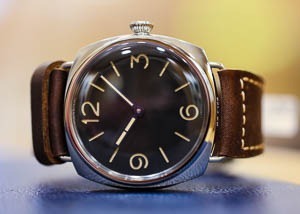 Watch in Focus: Panerai Radiomir PAM00721. 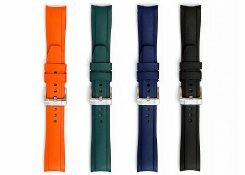 Everest & Rubber B watch straps, available for Rolex, Panerai and more. Blowers is a long-established family-owned company, founded by Ian Blowers in 1970. The company continues to operate from its original premises, a historic building dating back to 1790 and located in central Kingston upon Hull.